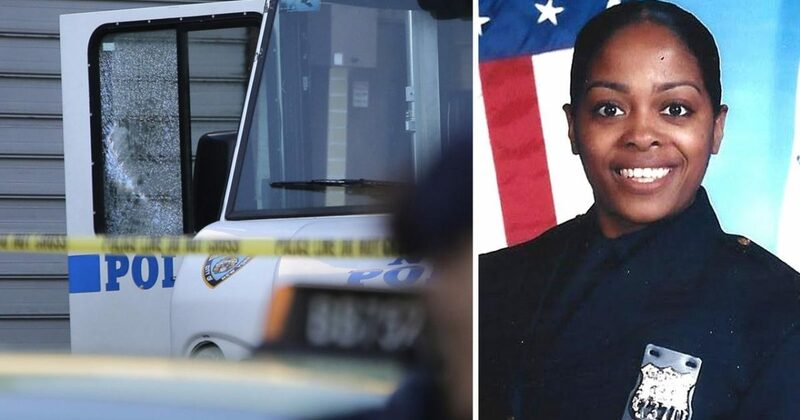 This week a New York City Police officer lost her life at the hands of a black leftist. As the 48 year-old mother of 3 sat in a command vehicle, a gunman walked up to the car and shot her through the window. He did what he had been coerced to do by leftists. At a press conference Wednesday morning, New York City Police Commissioner James P. O’Neill said Familia was shot in the head in an “unprovoked attack” while sitting with her partner in a marked police command vehicle on the corner of Morris Avenue and East 183 Street in the Bronx around 12:30 a.m. He told reporters the vehicle had been parked there since March because of increased gang activity in the area. Familia’s partner radioed for assistance while other uniformed officers chased after the suspect, who took off on foot. As the officers confronted the suspect, he drew a revolver, and the officers shot and killed him, according to O’Neill. The shooter has since been identified as Alexander Bonds, 34, of New York City. The .38 caliber revolver recovered from the crime scene was stolen in West Virginia in 2013, police sources told ABC News. This officer was sitting in her car, writing in her memo book. Her last, as it were. She never saw the gunman approach. After almost every police death by Democrats, some Democratic Party leader makes a speech and pretends to care. The fact is these Democrats rely on the thug element to maintain order in the city. Mayors like de Blasio of New York City and Emanuel of Chicago work with the criminal element. Remember when Rahm Emanuel was under fire for hiding a video of police shooting an unarmed black man? Here is what I wrote at the time. Emanuel managed to shore things up with the race pimps, allowing them to carve up the South and West sides of Chicago. Then Emanuel toed the party line. Problem solved. A task force was created, and racism has been blamed. If you’re confused, don’t feel bad. It appears that Emanuel is calling himself a racist. At the very least, he has condoned racism. After all, the police force reports to him, does it not? The mayor prior to him was a Democrat, was he not? Moreover, Emanuel covered up the racism of the police, did he not? Check out the video that Emanuel hid for over a year. And these messes exist in all major cities in America. Notably, their common thread; they are all run by Democrats. All these leftists have blood on their hands. Obama, Holder, and Lynch, Democrats in general, mayors, and black leftists. For the sake of “beads,” these morons put targets on the backs of blacks. They make black neighborhoods unsafe. Why would police want to help blacks? It’s not like it matters. Unless the police are willing to turn a blind eye to crime, they will be disparaged in the black community. Regardless, that won’t stop the Trump administration from doing its part. Jeff Sessions has already thrown down the gauntlet to cop killers. President Trump has threatened to send troops to Chicago to protect Americans.